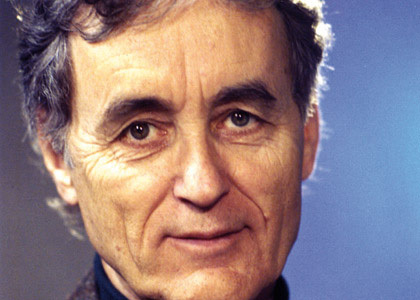 Fritjof Capra is the author of six international bestsellers and a founding director of the Centre for Ecoliteracy in Berkeley, California. The Centre advances schooling for sustainability; its most recent book on this growing movement in K-12 schools is Smart by Nature: Schooling for Sustainability (2009). Dr. Capra is on the faculty of the Beahrs Environmental Leadership Program of the University of California, Berkeley. The internationally acclaimed books include: “The Tao of Physics”, “The Turning Point”,” Uncommon Wisdom”, “The Web of Life” and “Science of Leonardo”. He co-authored “Green Politics”, “Belonging to the Universe” and “EcoManagement”. He co-edited “Steering Business towards Sustainability”. His latest book is “Learning from Leonardo” which was published in Italy and Brazil in 2012. After receiving his Ph.D. in theoretical physics from the University of Vienna, Fritjof did research in particle physics at the University of Paris, the University of California, the Stanford Linear Accelerator Centre, Imperial College, University of London, and the Lawrence Berkeley Laboratory at the University of California. He also taught at U.C. Santa Cruz, U.C. Berkeley, and San Francisco State University. In addition to his research in physics and systems theory, Fritjof has been engaged in a systematic examination of the philosophical and social implications of contemporary science for the past 30 years. His books on this subject have been acclaimed internationally, and he has lectured widely to lay and professional audiences in Europe, Asia, and North and South America. Fritjof has been the focus of over 50 television interviews, documentaries, and talk shows around the world, and has been regularly featured in major newspapers and magazines internationally. He was the first subject of the BBC’s documentary series “Beautiful Minds”.